5. Write options of next series from one week before of the expiry of the current series itself. 7. Try to choose ATM and OTM options and prefer both sides have some what equal premiums approximately. Make sure you choose options both sides which are preferable if they are equal distance from the underlying asset. I will explain this point also in detail. Above all, strictly avoid writing naked options. In other words don’t write options only on one side. NEVER EVER. Naked options are high risk category. Achieving target is always secondary but before jumping into a position, first we need to consider the risk. The risk in naked options is unlimited. Of-course even if one write options both sides still the risk is unlimited but it would at least cover the premium of other side to some extent. Always write options with strict STOP LOSS both sides according to the levels of the underlying stock. In other words according to the support and resistances of the underlying stock. The more the market or stock is sideways the more the options tend to lose premium coz of time factor. so, the more the premium loses the more is our profit. so, what type of shorting is preferred. I prefer short strangles first and then short straddles. Of-course there are so many other strategies available but these two are preferred. In other strategies the risk is very very less and also the profit is also very very less. sometimes no profit at all. so, prefer these two strategies – Short strangle, short straddle. What happens in other strategies is we need to hedge the position almost 100%. If that is the case of hedging then there is no risk and where there is no risk there is no profit. If at all any profit it would be negligible to the time we spent in trading and to the amount locked and the time we have to wait for that small return. sometimes even after days, the profit would be 0. so prefer those two strategies. So, this point is clear. Now lets come to the 5th condition. (5. Write options of next series from one week before of the expiry of the current series itself.) Why I mentioned one week before itself for shorting next series options. Coz, by the expiry time already the premiums of the current series 90% eaten. So, not much left to eat. The premiums of the next series look very attractive and this is the reason why I prefer them in the last week of the current series. Again, the same reason, Options tend to lose premium as time passes by. Coming to the 7th condition to prefer ATM and OTM options. Do prefer OTM mainly. OTM are less risky and can give good returns. 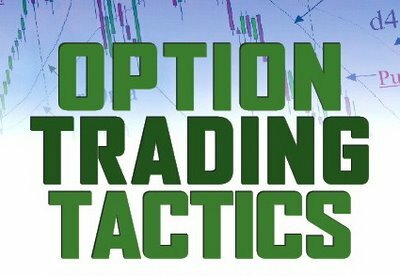 The main reason behind OTM options to short is…we have certain concepts like gamma, delta, theta etc..(these doesn’t need focus at this point). But, in other words, the change in premium in OTM options is less proportionate to the change in the price of the underlying stock and its volatility. Those who are comfortable with levels they can even prefer ATM options. Next to the 3rd condition about good liquidity. Yes, it is always needed mainly if we short stock options or deep OTM options of other series. Because of less volume the bid and offer rates vary much. So, prefer those having good liquidity. When the trend is uncertain and when the market or the stock is in sideways options tend to lose premium heavily. Try to write options both sides(MUST), with strike prices having equal distance(approx) from the underlying asset and also if both the premiums are almost equal then too good to short. EX: If nifty is 6300 then prefer 6500ca and 6100pa if you short strangles preferring OTM. choose either current series or next series based on the premiums. same with stocks..lets take Reliance. What a beautiful stock it has been since 12 months for the writers to eat premium in RIL options. The more this stock is beautiful to the writers the more I can say it is the most underperformed stock in FNO segment since one year after its split. It is least risky pick and lot size is only 250. This post has been recieved from priya on 17th nov but unable to post it on time. Very nice and useful article with examples. I wish and request you to explain other Greeks whenever you find time. appreciate the efforts you put in posting the article . My querry is do you take into consideration an indicator for positional stock options trading . tx in adv. Thank you. Indicators always follow price first. so, first we got to observe the trend and the levels using monthly chart and then weekly n daily chart with volume as well. Hence, indicators will have last preference. If they also support then it will be too good. But if not supporting then it doesn’t mean that we can not enter into trade. Before indicators, I even observe price patterns as well.. Please do not confused the new comers. 1. When the trend is uncertain and when the market or the stock is in sideways……..[Kishen] when the trend is uncertain..it is called volatile. when the trend is in a range…it is called sideways. Uncertain and Sideways are opposite words. 2. Strictly avoid writing naked options. In other words don’t write options only on one side…. [Kishen] do you know what you are talking about. Someone please make her clear that writing naked options both the sides makes the risk double. One have risk on both sides and may lose all the money (including home) in just one good gap up/down opening next day morning. There are many more contradicting statements in the articles and do not have time to discuss all. Accept my apologizes if the below lines gonna hurt you. How the hell you could comment so on her article. I am doing the above for a year and monthly return is 12 % minimum . Before commenting on Priyas article , do you have any sense or knowledge in Market . If you really want us to help means, post some thing useful rather than hurting people who are helping us.